The Percy Hedley Foundation offers a range of professional services across the region to help disabled people fulfill their potential by focusing on improvement and achievement. Our vision is simply: ‘achievement for all’. 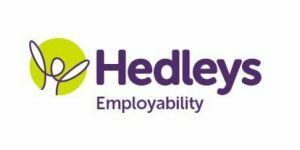 Hedleys Employability Service works with organisations across the region. It encourages employers to be socially responsible and disability confident. We achieve this by acting as a link between employers and disabled people, offering a variety of training and awareness sessions to change attitudes, employ disabled people and close the disability employment gap. Find us at Stand 73.